Saudi Arabia is not at the forefront of implementing Healthcare IT, but this country of 26 million inhabitants is making every effort to catch up quickly. It has started a national e-health program, which sets aggressive goals to double the number of beds, add another 50 new hospitals to the existing 260 and connect them all seamlessly with every provider using a unified medical heath record by 2020. 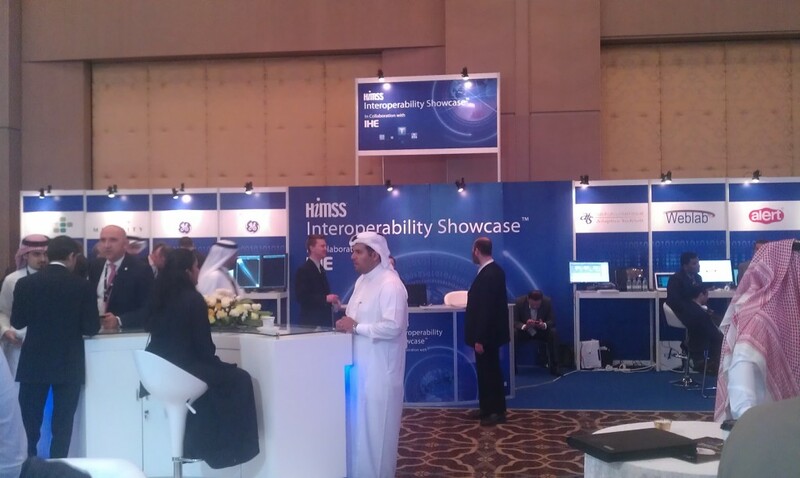 To facilitate this, it joined the IHE organization in early 2013, hosted the HIMSS Middle East conference in Riyadh, and is making major investments in setting up a health information exchange allowing electronic health records to exchange information for Saudi citizens, emigrants and visitors. This effort will be accompanied by many new hospital information systems as well as PACS installations and healthcare infrastructure improvements. Every effort is being made to apply the lessons learned by other countries, notably the US and Canada, and leveraging the standardization efforts by the IHE organization. The Saudi Ministry of health (MOH) is responsible for 60 percent of the healthcare in Saudi Arabia while 40 percent is split by other ministries such as the ministry of interior taking care of the security forces, army, and the private providers. The MOH is in the process of specifying which IHE profiles make sense based on their specific-use cases, some of which require minor adjustments. For example, the country has a central registration of persons who all have a unique ID (including visitors, who are identified by their visa numbers), which can be used to query from the yet-to-be implemented registries for medical records, which can then be retrieved from the several repositories. The very aggressive and ambitious healthcare IT effort will connect the hospitals to three major data centers, all connected through the Saudi Health Information Exchange (HIE). This HIE will not only function as the central repository and registry but also be able to run national e-health applications such as e-referrals. Critical to this effort is to standardize vocabularies and terminology for procedures, results, etc. For example, if a request for a lab test is to be sent to another lab, and the results sent back to yet another hospital, one better make sure that there is agreement about the test specification and that there is clear definition of the results so that they can be interpreted electronically by the receiving EMR. The implementation of HL7 version 3, CDA release 2 will be a part of the required functionality to exchange documents between the facilities and the respective HIE. The facilities themselves are divided into four different layers. The first layer is the primary care physician. He or she will refer a patient to a hospital if needed, which is the second layer. The third layer consists of specialist hospitals for specific diseases and specialists, with the top layer being the so-called medical cities, which deal with the most difficult cases. It does not make sense to repeat the connectathons to test the different IHE profiles to be used to connect all these systems, as most of the vendors have tested these rigorously at locations in the USA, Europe or other connectathon venues. However, to make sure that the local extensions are correctly implemented, the idea of a “projectathon” has surfaced. This activity will retest the necessary extensions based on the use cases applicable to the local environment. The Saudi government is very serious about the requirement to support the standards as defined by the IHE modified sub-set. It has plans to set up a testing laboratory, and it might even put import controls in place to prevent any non-standards compliant devices from entering the country. There is still a lot of work to be done by the Saudi government, such as finalizing the IHE subset of the profiles with their local extensions and modifications, setting up the certification labs, and obviously selecting the vendors. Procuring all the necessary systems and managing the implementation is a major effort. The good news is that in many cases, the hospitals are not burdened by the need to migrate data as they can start from scratch. In addition, applying lessons learned from other countries and using an extensive set of profiles from the well-proven and tested IHE specifications should also help. This should allow the Kingdom of Saudi to be able to jumpstart these implementations and hopefully meet their aggressive goals to be totally health-connected by 2020.